April is just about over and that can only mean that the St. Andrew Catholic Church picnic is this Sunday, May 4. 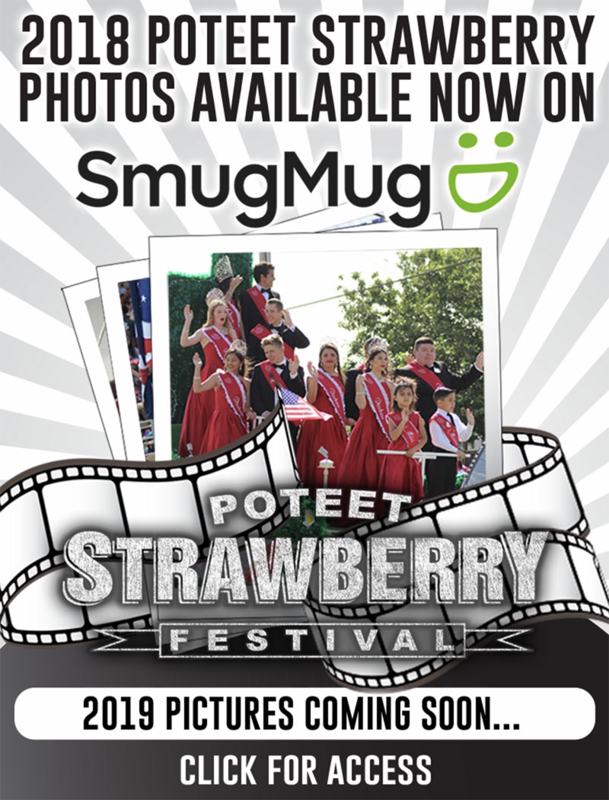 The annual fundraiser is always held the first Sunday in May each year and the funds raised go towards the Parish Hall Building Fund. Serving starts promptly at 11 a.m. with the aid of lots of volunteers. Tickets are only $8 per plate. Father Gilberto Vallejo and parishioners invite everyone to attend. The popular live auction will begin at 1 p.m. The auction committee has collected hundreds of auction items, which seem to keep getting better each year. One item, donated by David and Marisa Douglas of Ranchscapes, is sure to be a big ticket item. It is a Continental cargo trailer. It boasts a single axle, ramp gate, side door and measures 5’Wx10’Lx5’H. More items featured this year are Kenneth Wyatt prints, handmade afgha, quilts, a potting bench, Barbie® collection, metal art, wine rack and of course, baked goods to name a few. The parish has many hard workers lined up to make this a smooth running event. You have to have good food and there will be lots of it. The pit crew will be barbecuing 1,000 pounds of sausage and 2,200 pounds of brisket. The pit crew of parishoners will make sure it is all cooked just right. The pinto beans are always perfectly seasoned, too. The meal will also include delicious trimmings – potato salad, cole slaw and dessert. The Teen ACTS group will be serving, helping with children’s games and cleaning. If you want to play Bingo, get your card and enjoy the outdoors under the trees. The popular raffle and piñata bash will also be around for a chance to win some money and great prizes. Outside there will be lots of children’s games. New this year is a water slide and games, so children should prepare to get wet while having fun. Outdoor music will be provided by Johnny Garza’s Texas Tunes for everyone’s enjoyment. Hurley Funeral Home is once again graciously providing their large tent for this event. And while April may not ehave brought many showers, the Country Store and Plant Store will have plenty to be sold at the air conditioned St. Anthony building next to the hall. The picnic is held at 626 Market Street in Pleasanton. St. Andrew Catholic Church’s Father Gilberto Vallejo invites everyone to attend the annual church picnic and auction that will be held this Sunday, May 4. Pictured in the background is a Continental cargo trailer donated by David and Marisa Douglas of Ranchscapes. This and many other items will be available to bid on beginning at 1 p.m. The barbeque dinner begins at 11 a.m. Tickets are $8 and include brisket, sausage and all of the trimmings. 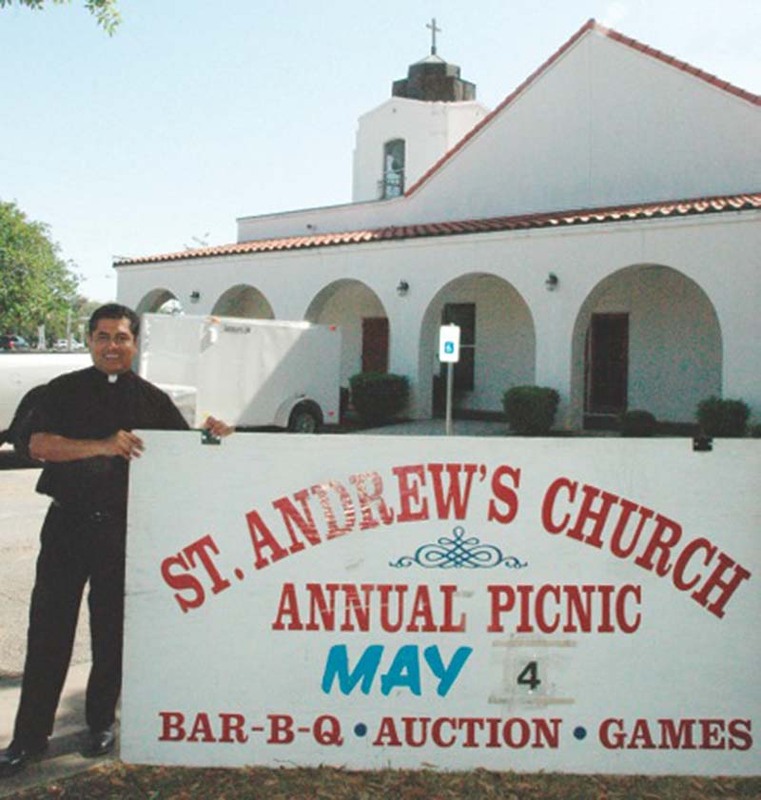 St. Andrew Catholic Church’s Father Gilberto Vallejo invites everyone to attend the annual church picnic and auction that will be held this Sunday, May 4. Pictured in the background is a Continental cargo trailer donated by David and Marisa Douglas of Ranchscapes. This and many other items will be available to bid on beginning at 1 p.m. The barbeque dinner begins at 11 a.m. Tickets are $8 and include brisket, sausage and all of the trimmings.